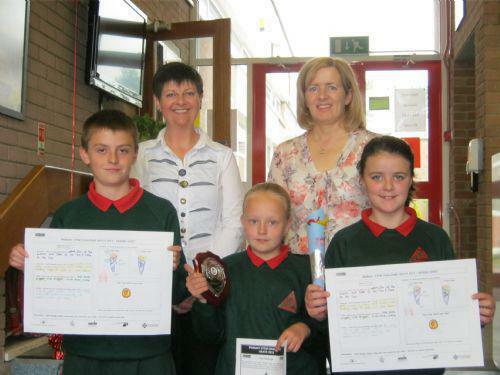 Mrs Joan Shine (SELB World Around Us Advisor) presented the Regional Winners of the SCIENCE & TECHNOLOGY CHALLENGE to a group of our Primary 7 Pupils. They will be representing Drumgor P.S. at the Northern Ireland Finals in the Odyssey Belfast on 19th June 2012. Another team have also qualified for the Northern Ireland K'Nex Challenge Final.